Since 1980, depth psychologist Bill Plotkin has been guiding women and men into the wilderness—the redrock canyons and snow-crested mountains of the American West—but also into the wilds of the soul. He calls this work soulcraft. Based on decades of work, travel, and experience, Rohr, a Franciscan brother and best-selling author, unearths the complexities of male spiritual maturation and helps us to understand the importance of male initiation rights in both culture and the church. 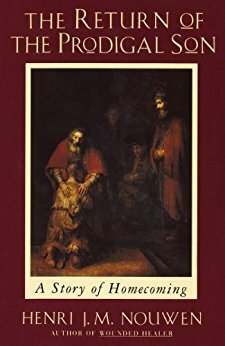 A chance encounter with a reproduction of Rembrandt’s The Return of the Prodigal Son catapulted Henri Nouwen on a long spiritual adventure. Here he shares the deeply personal and resonant meditation that led him to discover the place within where God has chosen to dwell. From Wild Man to Wise Man is a revised and updated edition of Richard Rohr’s earlier best-seller, The Wild Man’s Journey: Reflections on Male Spirituality. For this new work, Rohr added three chapters that discuss John the Baptist, Saint Paul and grief. Soularize 2016 featured presentations from men who are involved in acts of Service, the fifth touchstone in the Illuman Journey of Illumination. This session focused on Grief and Loss as a gateway to Service and included presentations by Raymond Dougherty, Zack Maser and Terry Shaughnessy. The session was moderated by Belden Lane.